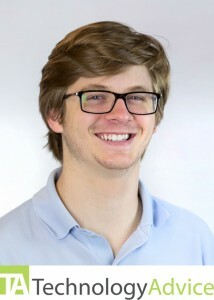 The following interview was conducted by Clark Buckner from TechnologyAdvice.com (they provide top business software comparisons on project management platforms, marketing automation solutions, cloud backup and storage, and much more). Make sure to check out their Tech Conference Calendar for tech-related events. 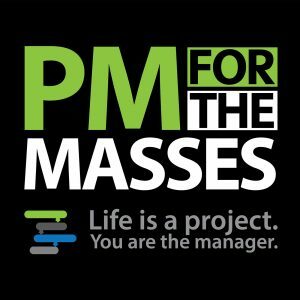 Cesar Abeid is a fellow Podcast Movement alumnus and the host of PM for the Masses, a weekly project management (PM) podcast. Abeid’s show focuses on project management concepts, interviews with PM professionals, and the recipe for phenomenal success. In 2009, Abeid started a blog for his family’s business. The company provided services to the construction industry such as remote monitoring for construction projects, time lapse videos, and additional technology. He began interviewing experts via email and publishing the transcripts as blog posts. It eventually became a chore, and after hearing that podcasts are a more effective way to connect with an audience, he launched The Construction Industry Podcast. After a successful three-year run, Abeid finally decided to combine his love of podcasting with his true passion– project management– to create PM For the Masses. He was able to talk about what he’s passionate about, set himself apart as an expert, and make connections in the industry. Abeid says the biggest benefit of starting a podcast was the ability to quickly create a name for himself in the industry. 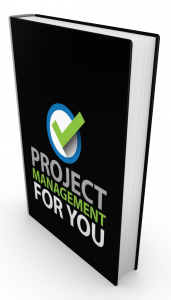 The Project Management Institute states there are over 540,000 certified project managers. There are also thousands of PM books and blogs, yet only a handful of podcasts on the topic. Abeid has learned that blogs are great, and even though a podcast audience is generally smaller, it takes more effort from the audience than a blogpost, so they are more engaged. Getting an audience to listen to you is a great way to build trust and make a splash in a niche. Abeid’s journey created the perfect opportunity to write a book. Until he came across PM, he had a hard time starting, finishing, and planning to accomplish things. Once he started studying the subject, he saw immediate progress in his business and personal life. Once he was fired up from interviewing others with the same passion for getting things done using the PM methodology and framework, he knew he wanted to write. He also saw the need for people to learn to manage complexity. In a fast-paced, soundbyte world that only skims the surface, complexity tends to scare people off. Abeid believes that if you want different results, you have to start doing different things. His book is for anyone that wants to start getting things done, delivering on promises, and turning ideas into reality. Most literature on project management is made for the business world, so the content is not accessible to everyone. Abeid set out to use his industry knowledge to decipher the convoluted business language and teach anyone to get things done using project management. Abeid plans to use Kickstarter to launch his book. If you have a complex idea that needs action but don’t know where to start, then getting your hands on Project Management For You should be step one.